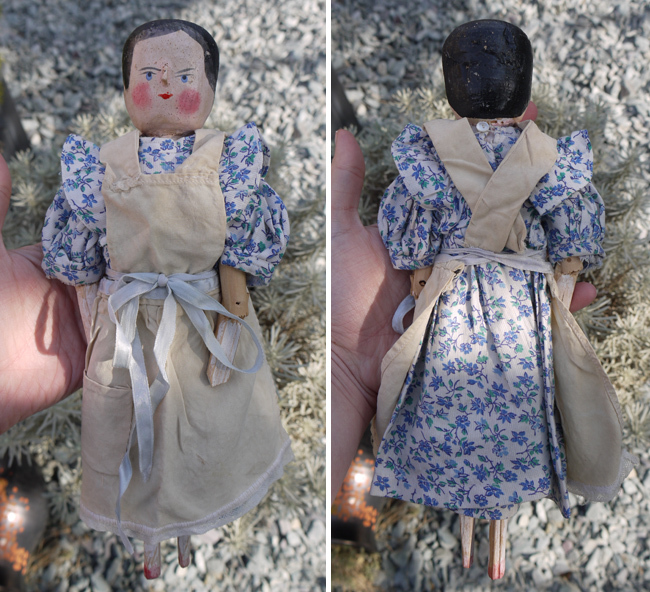 This lovely peg doll (c1890-1910) measures 11 inches high and used to be part of the collection of dolls at Pollock's Toy Museum in London. She is signed 'Pollocks 1982' in pencil on the base of her back. 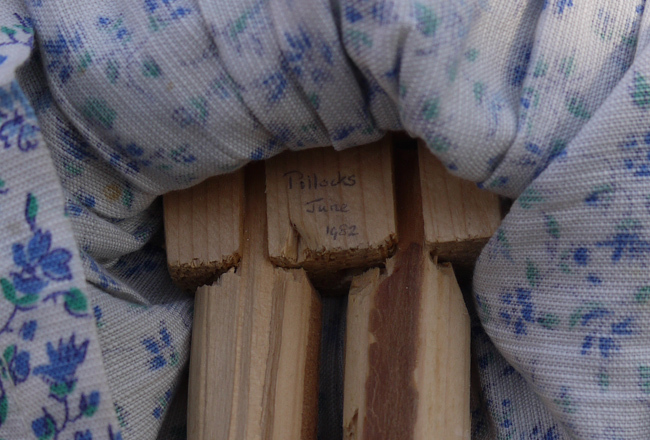 Pollock's once sold these German, wooden, antique peg dolls, of which this is one. I love that she has a story and knowing she was once part of the Pollock collection makes her just a little bit special to me as I love that place! If you've never been to Pollock's Toy Museum, near Goodge Street station in London, I highly recommend you take a trip. 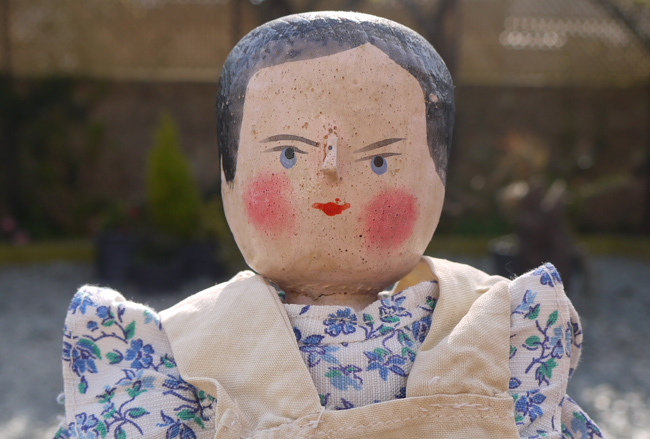 It's jam-packed full of interesting antique toys - from pegs dolls to stunning toy theatres - which were inspiration for Terry Gilliam when he made The Imaginarium of Doctor Parnassus.